GIFs, emoji, stickers… they’re taking over the internet. It took me a while to come to terms with the fact that it’s okay if we use fewer words, but now I’m a flag-flying enthusiast. The main thing was that TNW started using Slack for whole company communication, and with Slack comes the Giphy integration that someone inevitably switches on. Learning that there’s a relevant GIF for any situation was a revelation. Incidentally, when I searched Giphy for an emoji to illustrate ‘woohoo’ for this article, almost all the results were based on copyrighted material. That said, is a looped image of Roger the alien from American Dad really going to hurt anyone? If anything, it’s viral promotion for the show. The only credit or attribution given to many GIFs based on copyrighted material is to the creator of the GIF, not the creator of the source material. For VC-backed Giphy, and for others like brands considering the use of GIFs in their social marketing, lack of consent from rightsholders is an interesting question, even though ‘fair use’ should cover many uses in the USA, and Giphy complies with DMCA takedown requests. Look at Instagram and Snapchat – image-based communication is on the rise and today’s children may opt to use more pictures than words in many situations as they grow older. As those children enter the workforce, why should they adapt to ‘the adult world’? 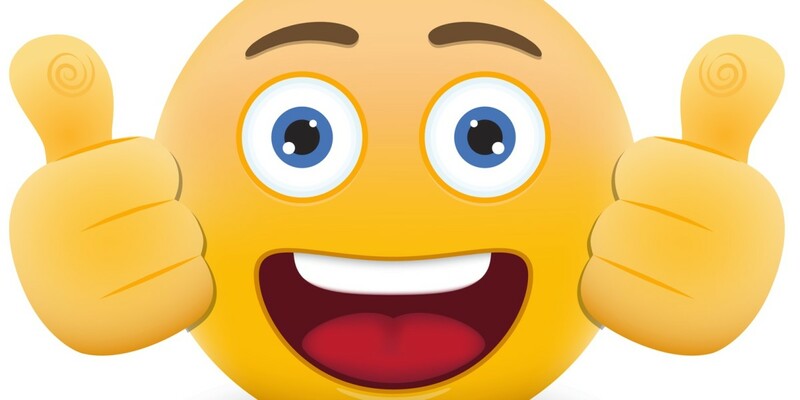 When emoji is just an expected part of everyday conversation – and business – it’s the fuddy-duddies limiting themselves to words who will be excluded from the most exciting opportunities. A version of this article first appeared in the TNW Weekly newsletter. Sign up to receive it in your inbox every Friday.